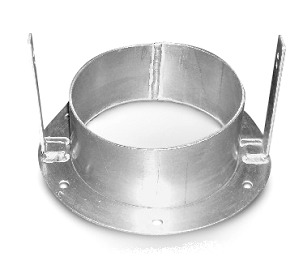 PRODUCT: Overflow Drain Ring, 3 inch High x 6-3/8 inch ID. Outside Ring is 9 inches OD, 6-Hole Clamp Ring Area. 5-1/2 inch High Drain Attachment Supports. All Aluminum. Used together with 6-bolt OMG 6 inch Drain Base Flange. Price/Each..